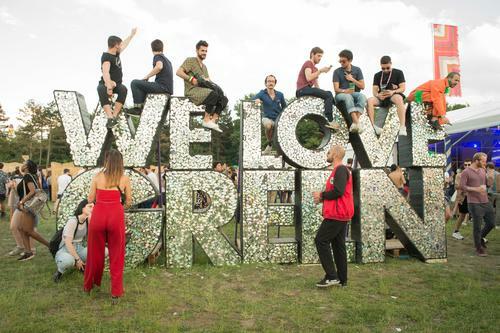 If you end up in Europe on the high of June, or higher but in Paris (to be actual) then you must discover a strategy to cop some tickets to the town's annual We Love Green Festival. The occasion, that is identified for its earth-friendly theme and utilizing 100% renewable vitality, has introduced its 2019 lineup that features Tame Impala, Future, FKA Twigs, Mr. Oizo, Rex Orange County, and Kali Uchis. Taking place on Saturday, June 1st to Sunday to June 2nd on the Bois de Vincennes, different acts included are Toro Y Moi, Sebastian, Nicolas Lutz, Lena Willikens, Laurent Garnier, Ricardo Villalobos, Bonobo, Peggy Gou and Marie Davidson. Tickets are on sale right now and though the early fowl tickets are bought out, two-day passes are going for $123 USD. In different Kali Uchis information, she and Jorja Smith simply introduced their collaborative tour that may see them hitting up main cities throughout North America. The Kali and Jorja Tour kicks off on April 28th in Washington, DC and wraps up on May 30th in Toronto, ON.